Please provide the following information to see the pricing details and continue the checkout process. You can delete the item from your cart at any time. Why is the price not shown? Because our price on this item may be lower than specific manufacturers allow us to show, we need you to input the above information first. Thank you! With exclusive Posturepedic Technology and the introduction of our new Sealy Immersion Advanced Memory Foam, the Performance collection offers enhanced pressure relief combined with reinforced support where you need it most. With a ABC Warehouse credit card. 50 equal monthly payments required. **Offer applies only to single-receipt qualifying purchases. No interest will be charged on promo purchase and equal monthly payments are required equal to inital promo purchase amount divided equally by the number of months in promo period until promo is paid in full. The equal monthly payment will be rounded to the next highest whole dollar and may be higher than the minimum payment that would be required if the purchase was a non-promotional purchase. Regular account terms apply to non-promotional purchases. For new accounts: Purchase APR is 29.99%; Minimum Interest Charge is $2. Existing cardholders should see their credit card agreement for their applicable terms. Subject to credit approval. We reserve the right to discontinue or alter the terms of this offer at any time. In the center zone, there are 20% more coils for even better support where you need it most. Coil count: 1,000. Cover fabric designed to draw moisture away from your body during the night, helping to keep you more comfortable. Cool-to-the-touch technologies help promote a comfortable sleeping environment. 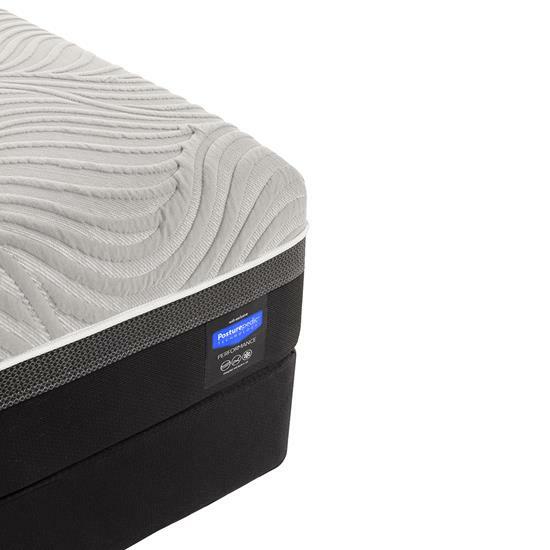 A slower response memory foam that allows for a more breathable, comfortable, cool-to-the-touch sleep surface. High-density, flixible coil border surrounding the mattress for better edge support, more usable sleeping surface, and improved durability. Special design to work with adjustable bases. See Owner’s Manual for Complete Details. Sign Up To Receive Our Sale Circular! ABC Warehouse reserves the right to limit quantities. U.S. sales only. Not responsible for typographical errors. Prices and offers are subject to change. Copyright ©2019 ABC Appliance, Inc. All rights reserved.